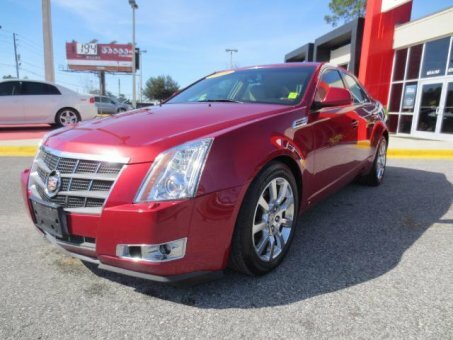 Fall in love with this fully loaded 2008 Cadillac CTS sedan brought to you by Halo Autosports. This is a one owner car! Recent local trade-in. Ruby red and tan leather interior. Rides like a dream. Pure decadence sophistication and class. Comfortable for long road trips and sporty for your city driving. This CTS screams luxury! Woodgrain finishes accent the interior beautifully. You can tell that this car was loved by it's previous owner and was meticulously maintained.